Photographer loves to capture models and beauties on their frames no matter that are for private or commercial. These repairs and improvements are very complex and need to be done with very clever hands. The important goal of private images for model photography is to underline the natural beauty of the model on the image. Other hand commercial shots are way diverse and special. Make every image looks attractive to the customer’s eyes. The focus will be the model’s outstanding beauty and sharp out the attractiveness. Most commonly the images are used in various magazines, e-commerce or websites, clothing industries, etc. 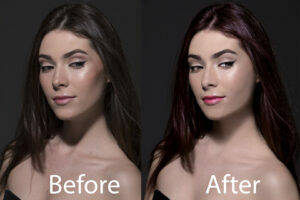 These repairs and improvements for the beauty and models are what in the image editing industry calls model retouching. 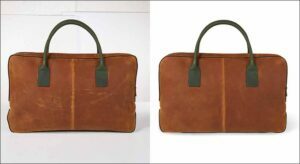 There is a certain range of image improving programs and applications required for model retouching. Photoshop is most widely applied and used. 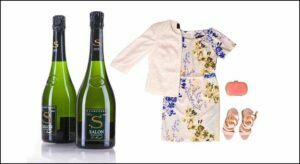 It enables our designers and experts to do model retouching on distinctive stages starting from fashionable and finishing with the entire level of image converting. 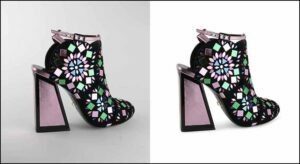 Clip and Touch image editing business is more than 8 years and provides various expert designers with outstanding version photo retouching services for fashion, magazines & E-Commerce. Out of all clients we have most models who are permanent clients. They in dare want for professionally retouched portfolios for exclusive beauty and fashion agencies. 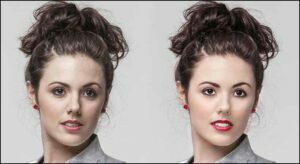 The most commonly used types of Model Image Editing are for enhancing beauty on headshots, body figure & facial, diverse commercials purposes, fashion and beauty magazine covers, photographer’s portfolios, include glamour retouching, TV commercial videos. Model and beauty image editing contains a whole lot of image converting strategies starting from retouching hair, eyes and skin. Our expert designers will assure you to work on your images with the most professionalism and perfection. And a whole lot simply on the best level of exceptions without any stressful sky-excessive reasonable image retouching fees too. We do no longer declare that we are the most pocket-pleasant that you will be able to discover in today’s image editing industry. 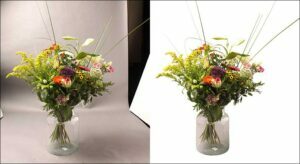 However on the other hand you may get the worthwhile talented work and professionally quick Image Editing Service where we can also save your valuable time. Step- 1: After opening image in Photoshop take a duplicate Layer by pressing Ctrl + J and do the basic skin Retouching in that image layer. That means we will remove spot, pimple, acne, fly away hairs etc by using Healing Brush Tool. 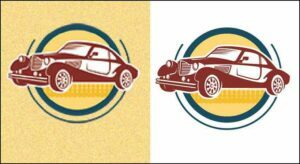 Step- 2: We will take two duplicate Layers by pressing Ctrl + J twice. We will call the upper Layer High and the downward layer Low. By keeping the Low Layer selected we will use Radius 8.0 from Filter> Blur> Gaussian Blur. Now by keeping the High Layer selected click on Image> Apply Image. Set Low Layer from Layer option, Subtract Scale- 2 from Blending, Offset- 128 then OK.
Step- 3: Now the full image is in Gray color. When the High Layer is selected change the blending mood of the Layer and select the Linear Light. Step- 4: We will take an empty layer below the High Layer and select Brush tool (B). By reducing Opacity and Flow of Brush tool click Alt + and select color. We will paint the places slowly where the skin is darker. We will match the dark and light parts. Step- 5: To make the skin bright Select Level from Color Adjustment Layer and increase light slight. Step- 6: Select hue/ saturation from Adjustment Layer. Select Red from hue/ saturation. From Red we will use Saturation – 17, and then select Yellow. From Yellow we will Select Saturation- 8. Now Invert by pressing Ctrl + I. By selecting Brush Tool (B) make Opacity and Flow 100% and paint on the skin. Step- 7: To change the hair color select Color Balance from Adjustment Layer. We will use Red + 28 & Blue + 15. 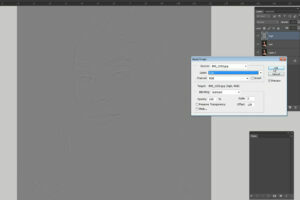 Invert by pressing Ctrl + I and paint the hairs by selecting Brush Tool (B) and take Opacity 100%. Step-7: TO highlight the eyes select Curves color from Adjustment Layer, click in the middle of the Curve and drag it to the top and invert by pressing Ctrl + I. We will paint only hair by selecting Brush Tool (B) and taking 100 % Opacity. 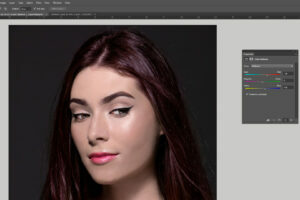 Step- 8: To change the Lip color select Hue / saturation from Adjustment Layer. From Hue/ Saturation use Hue- 6 and Saturation +41 and invert by pressing Ctrl + I, we will paint only Lips by selecting Brush Tool (B) and taking 100% Opacity. Now see Before and After image. Full model has been retouched but the texture of the skin has been kept right.